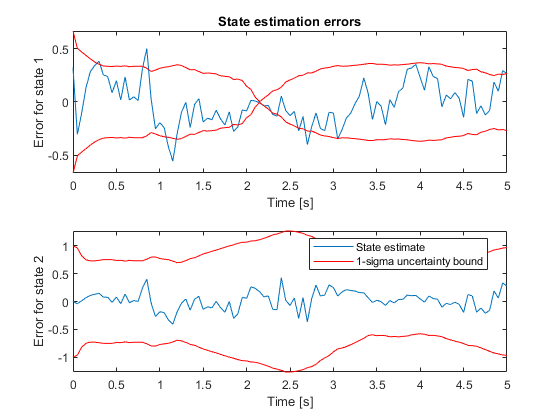 The top plot shows the true, estimated, and the measured value of the first state. 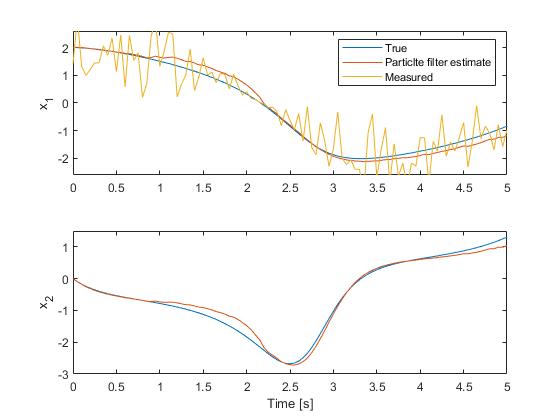 The filter utilizes the system model and noise covariance information to produce an improved estimate over the measurements. The bottom plot shows the second state. The filter is successful in producing a good estimate. 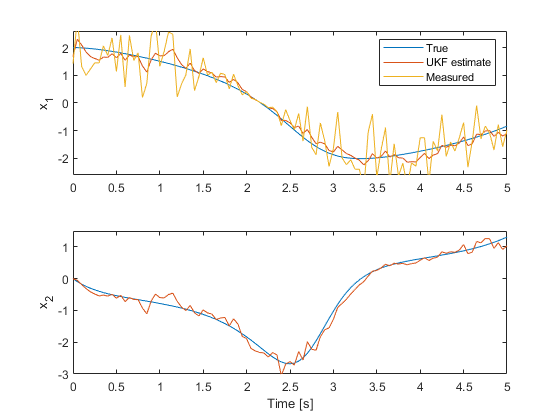 Unscented and extended Kalman filters aim to track the mean and covariance of the posterior distribution of the state estimates by different approximation methods. These methods may not be sufficient if the nonlinearities in the system are severe. 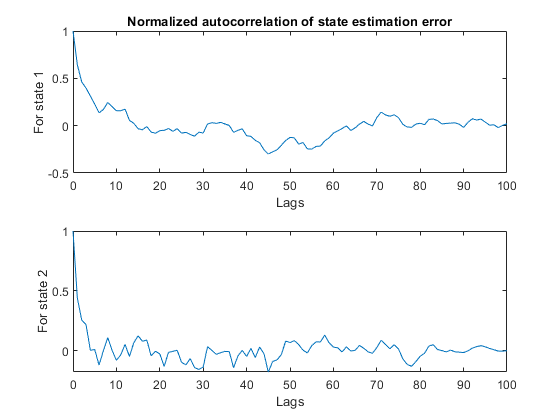 In addition, for some applications, just tracking the mean and covariance of the posterior distribution of the state estimates may not be sufficient. 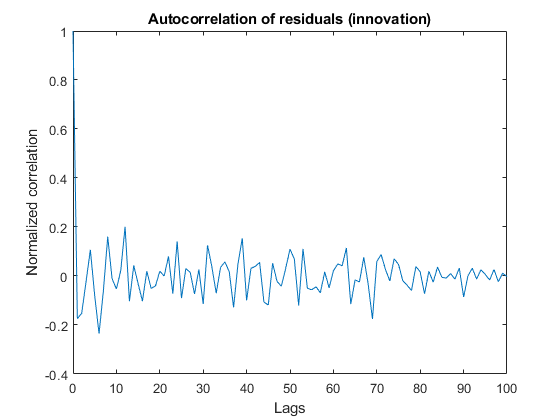 Particle filters can address these problems by tracking the evolution of many state hypotheses (particles) over time, at the expense of higher computational cost. The computational cost and estimation accuracy increases with the number of particles. The particleFilter command in System Identification Toolbox implements a discrete-time particle filter algorithm. 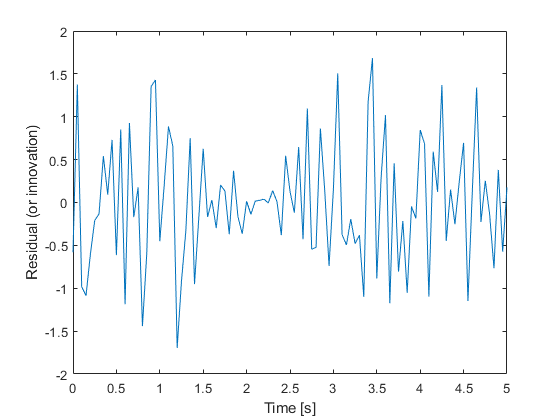 This section walks you through constructing a particleFilter for the same van der Pol oscillator used earlier in this example, and highlights the similarities and differences with the unscented Kalman filter.